After the El Nino here comes La Nina, if you can remember I was posting here several photos of me wishing for the rain to come. And now here it comes. Taken near Agdao Flyover. Being a mad lover of rain, it sound great to me ;) when it rains over here, I tent to listen to the drumming sound of the drops, trying to hear them spelling me a name. Please have a great Thursday. You've reminded me that I need to clean out my rain boots. this reminded me of our shots in Baguio during my vacation. 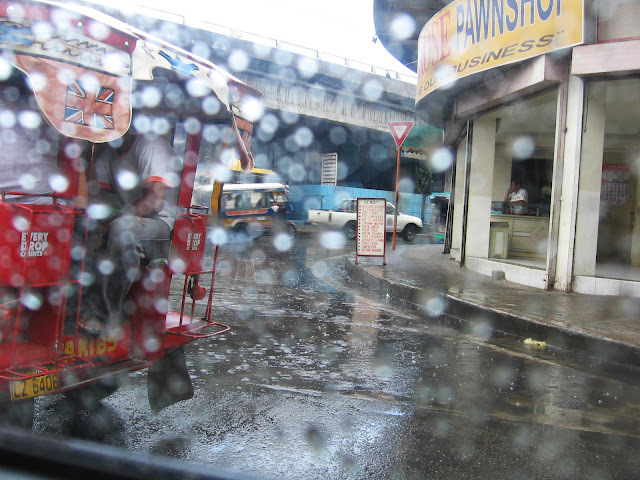 we caught in the rain so we went back to Manila so late.